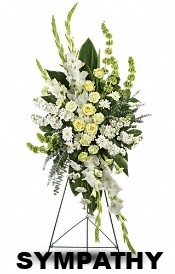 Century City Florist is a full service flower shop that provides daily hand delivery of all our products. We offer the freshest flowers that are hand selected each day for quality and variety. Century City Florist provides elegant floral arrangements for a sophisticated and demanding clientele, including studios, stars and professionals. We specialize in creative unique arrangements, beautiful hand wrapped flower bouquets, gourmet food baskets, sympathy designs and plants. Delivering daily in the local and vast surrounding Los Angeles area.